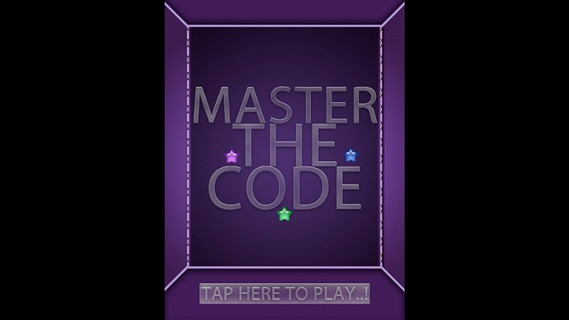 Master the Code is very addictive game. You will love it from the beginning. 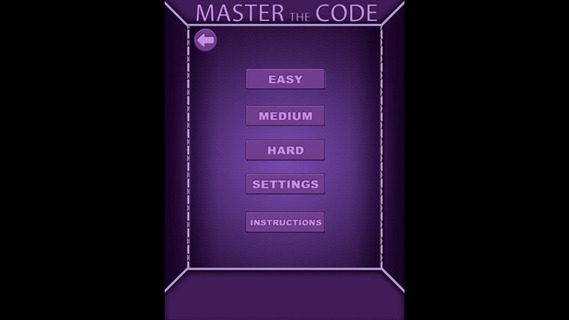 The device will be a code maker, you will be the code breaker. 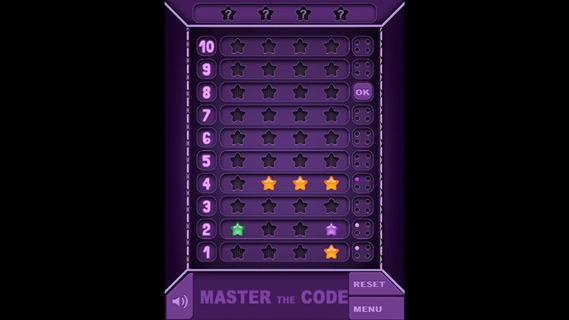 The device chooses a pattern of 3 to 5 code pegs. 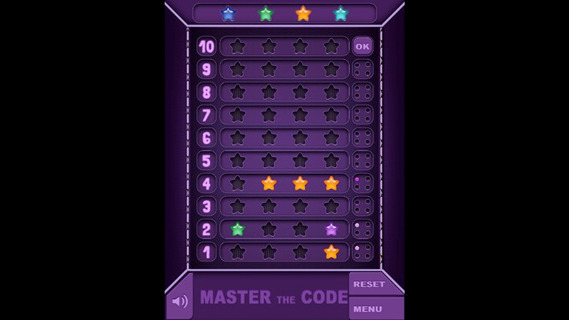 Duplicates are allowed, so the player could even choose five code pegs of the same color. 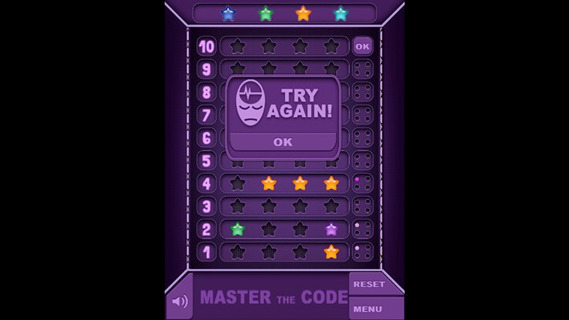 The chosen pattern is placed in the holes covered by the shield (so you cannot se them), only your device knows the code. 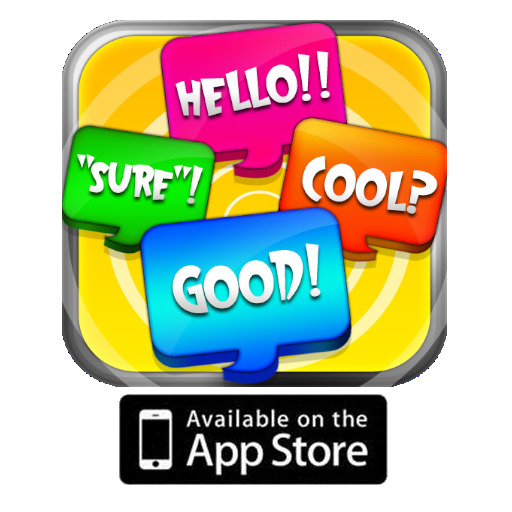 This game features amazing sound effects and music, you can always turn on/off according to your needs. Game Difficulty: Easy, Medium or Hard. With four pegs and six colors, there are 6^4 = 1,296 different patterns (allowing duplicate colors). This game is perfect for spending quality time while exercising your brain!